Updated Tuesday March 19, 2019 by TBO Staff. TBO is glad to announce that the "Cleat Gemach" is once again open, and under new "management." 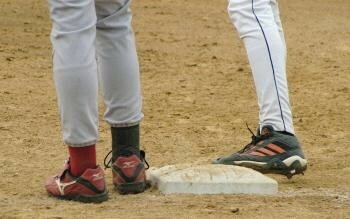 Baseball cleats/spikes are mandatory in almost every baseball and softball division. No child should ever miss out on their game because of a lack of proper footwear. In lieu of purchasing cleats for your child, the gemach has a sizable collection of cleats/spikes available to borrow for the duration of the season. Whether you are looking to borrow, return, or donate your child's old cleats/spikes ot help sustain the gemach, please contact Merry Greenstein ifor more information. Thank you to Hillary Kessler-Godin for hosting and managing the gemach for all of these years.